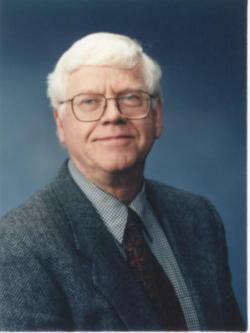 Dr. Donald Leggett, Professor Emeritus of Old Testament at Tyndale University College & Seminary, passed away on Saturday March 27th while visiting family in Texas. Dr. Leggett's teaching career spanned more than 40 years. He was an esteemed and beloved professor whose influence on thousands of students cannot be measured but known to God. Alum from across the years, and around the globe, would name him as a person of singular spiritual influence on their lives and ministries. A family memorial service will be on Saturday April 17th at 2:00 pm at Village Green Community Church in London, ON. This service is open to all who desire to attend. Visitation will take place on Friday April 16th from 7:00 – 9:00 pm at Village Green Community Church. A memorial service in memory of Dr. Leggett will be held at Tyndale on Friday April 30th at 7:00 pm in the Van Norman Worship Centre. A light reception will follow the service.